Home>Blog>Xamarin>How to add custom fonts in Xamarin.forms? This article demonstrate each and every steps required for adding font style in your app. Xamarin already contains some popular font styles but if you want to add a new font style then this article completely belongs to you. This article will help you in applying font style in some specific controls or overall app. Adding a font Style in your app requires the font file. We need to add the file of that particular font style. If you don’t have the file, you can easily download it from Google. I have mentioned below some file extensions which are supported by Xamarin. 2) Add Font file in your project ,I am using “GreatVibes-Regular.otf” file for example. Firstly you need to add the font file in .droid project. I am adding the file in Assets. You need to right click on the Assets folder and then add file. One thing you need to check very carefully after adding the font file. Right click on the file and go to the Build Action and it should be BundleResource in iOS and AndroidAsset in Android. Now we are ready to use that file. 4) For showing the same font style allover in example app, we need to extend all the controls used in the app like Entry, Button, Editor etc. For extending any control, we have to write a renderer for it. So I am starting with Android. In .droid project, create a folder with name Renderers and then add a class in it. I am creating a class with name ExtendedLabelRenderer. In this case class name should be ExtendedEntryRenderer. After the assembly info, we were inheriting the class LabelRenderer but if the renderer is for Entry then you should inherit EntryRenderer. Add this line in OnElementChanged. Here, Forms.Context.Assets is the location where the file is placed and the second parameter is the file name. Now run the project and you can see your font style in allover the app. Similar to Android, we have to extend the controls in iOS also. Now we are going to repeat the same steps in iOS. Create a folder with name Renderers in your .ios project and add a class file in it. I have mentioned the code for Extending the label below. 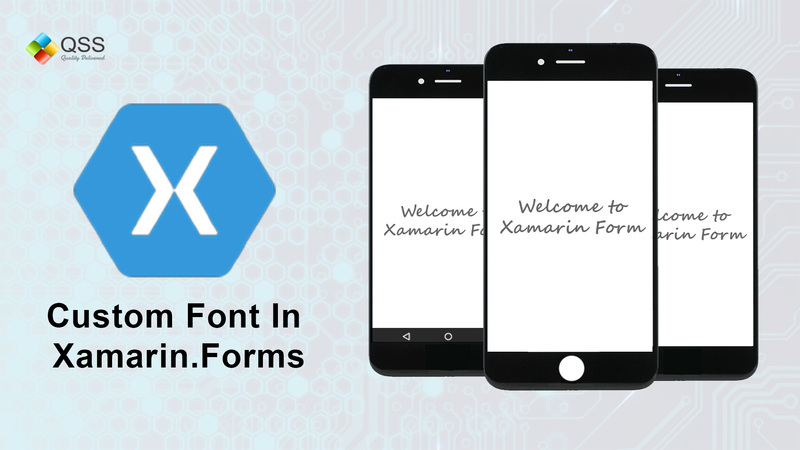 With the above blog, now you can easily insert custom fonts in xamarin.forms But, in case you encounter any challenge, feel free to contact our xamarin app development experts. 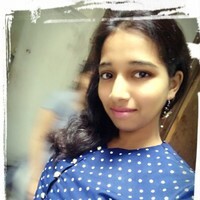 Rashi saini is working in QSS Technosoft as a Xamarin Developer. She has a good experience in Xamarin.Forms(PCL and Shared both) and Xamarin native. She likes to be aware with new trends in technology.